Mortar is typically made from a combination of Portland cement, hydrated lime, sand and water. The result of combining these ingredients is a strong binding material used to seal the gaps between bricks or other blocks used in construction, aka mortar. You can see mortar post-construction, it’s the lines that run between bricks making up 7% to 15% of total wall surface area. In other words, mortar is very important. Mortar is meant to take on impact and stress so that your bricks remain protected. It’s cheaper to replace mortar than bricks, hence why mortar is intended to breakdown and be replaced over time. If failing mortar is not replaced, bricks undergo additional strain that’ll eventually lead to complete failure. 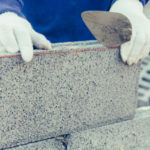 Throughout history a couple different types of mortar have surfaced, and all play an important role in the ways we produce and apply mortar today. Gypsum mortar is the oldest known mortar to date, dating back to the ancient Egyptians. It was made from a combination of plaster and sand, and the result was quite soft. Portland Cement mortar was invented in the mid-19th-century as a stronger type of mortar than anything before it. It was applauded for its ability to dry and set at rapid speed, speeding up the construction process. 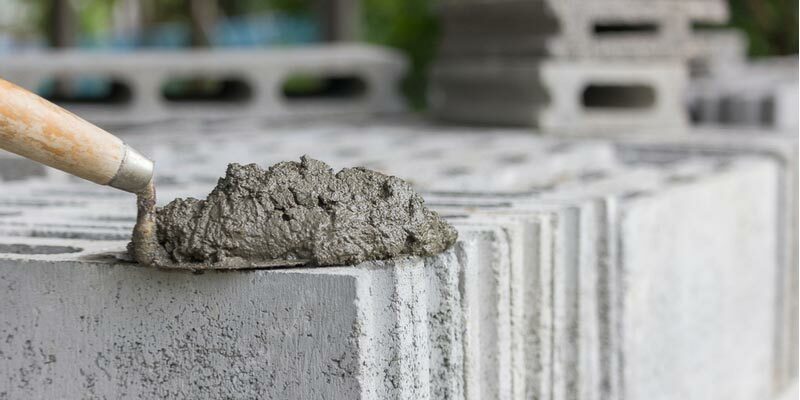 Portland cement mortar is the base for modern day concrete, which is essentially Portland cement + gravel. Lime mortar is a mixture of sand, slaked lime and water. This ancient mortar dates as far back as 4000BC in Ancient Egypt. It is made by burning Limestone in a kiln so that it turns into quicklime. Quicklime is then mixed with water to form slacked lime, lime putty or hydrated lime powder. Lastly, it is mixed with sand and water to create mortar. Interestingly, lime mortar takes the longest to set, and may take as long as 10-years to fully harden post-construction. How Often Does Mortar Need to be Replaced? All mortar weakens with age. It can generally last between 25 and 50 years. 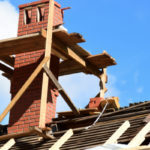 The actual time mortar lasts before it needs to be repaired has a lot to do with your location, local weather, climate, and temperature shifts, as well as the quality of mortar and construction. 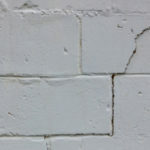 Certain conditions can lead to premature erosion of mortar such as poor construction, acidic rain, or drastic temperature fluctuations (freeze and thaw cycles). 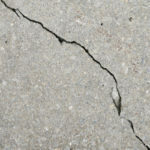 Once cracks form in mortar, it’s all too easy for moisture to get inside and cause extensive damage. If mortar damage goes ignored, additional pressure is applied to bricks causing more costly issues. Every sliver of mortar is not going to break down at the same time. Instead, you’ll notice portions of mortar wearing away long before others. A process called repointing, which involves removing damaged mortar and replacing it with new mortar, can stop damage in its tracks. It’s so important that the right type of replacement mortar is applied to repairs. The new mortar should match the original mortar in terms of strength, color, and makeup. Incompatible mortar, for instance mortar that is stronger than the original mortar, can cause more harm than good. That’s why you should always have a professional conduct any repointing on your home or business. As mentioned above, it is so important to properly match replacement mortar to existing mortar. This is especially important with historic buildings. The mortar matching process can be more complicated for historic properties because there wasn’t a one-size-fits-all recipe for mortar back in the day. Testing can be conducted to determine the content of preexisting mortar and create the best suited match. Toronto winters are no stranger to temperature fluctuations, floods and storms that take a toll on brick buildings of all ages. Regular maintenance is essential to keep your mortar and bricks in good shape. Contact Turnbull Masonry today for Toronto’s number one name for everything masonry.